Five people have died due to issues with weight-loss balloon devices since 2016, the FDA has announced. The FDA has warned health care providers about deaths related to intragastric balloon systems developed by both Apollo Endo-Surgery and ReShape Medical. The devices - used to treat obesity – are inserted into the stomach through the mouth and are then filled with saline until they expand, leaving the patient feeling full to help them lose weight. The FDA states that all five deaths occurred within a month of balloon placement, with three patients dying as soon as one to three days after being fitted with the device. The FDA is also aware of two more deaths in the same time period which are related to potential complications associated with balloon treatment. CBSNews received a statement from Apollo Endo-Surgery, saying: “While the cause of death has not been provided or determined in all cases, Apollo has not received any communication or indication from the attending physicians or hospitals that the deaths have been due to the device. ... In each of these cases, we are not aware of any evidence that suggest a device malfunction or failure." Earlier this year the FDA issued a letter to healthcare organisations recommending close monitoring of patients with the devices. It warned about the potential risks of acute pancreatitis and spontaneous over-inflation. 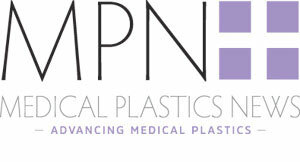 Both Apollo Endo-Surgery and ReShape Medical have updated their product labelling to address the risks. The devices that have caused the deaths – Apollo’s Orbera Intragastric Balloon System & ReShape’s Integrated Dual Balloon System – were both accepted for pre-market authorisation by the FDA and are Class III devices. HealthNewsReview reported six deaths associated with the Orbera and three related to the ReShape balloon. Apollo Endosurgery commented on the reports saying: "Of the cases mentioned, only one patient received Orbera in the US. Additionally, it is very important to understand that the FDA’s letter does not indicate that any of the patient deaths were related to the ORBERA device or the insertion procedure. While the cause of death has not been provided or determined in all cases, Apollo has not received any communication or indication from the attending physicians or hospitals that the deaths have been due to the device. From the period Jan 1, 2006 through March 31, 2017, the incident rate for patients while they have an Orbera is less than one-hundredth of one percent (<0.01%) with more than 277,000 balloons distributed in the same time period. In addition, since receiving FDA approval in August 2015 and subsequently being offered in the United States, the incident rate remains less than 0.01%, providing extremely strong testimony to the product's safety profile." Apollo Endosurgery has also stated that in each case of death it is not aware of any evidence that suggests a device malfunction or failure.